I’ve said it before and I’ll say it again – I bloody love Elemis! The brand is super sophisticated and I’ve only just noticed that the brand literally sells itself. No fancy gimmicks or plastering their products all over media to get sales. They rely on their products to do the selling. This also might be why you may or may not have heard of the god send that is the Herbal Lavender Repair Mask. This Elemis product is one of my all time favourite’s of all time. I’ve been repurchasing it again and again for at least 5 years, if not more! I’m going to get straight to it and explain that the main reason why I’ve repurchased this so often is because it’s brilliant for dealing with spots AFTER you’ve broken out. Most products are for prevention rather than cures and if you’ve got combination skin, it’s no use putting products on your face that are going to dry your entire face out. Besides, when you’re staring at your panicked reflection after that giant, rather angry looking spot appears you need something that will help you out instead of reminding you that your hormones are running riot. I started suffering acne early, even before I was a teenager. My sister who I like to think would’ve made a great beauty blogger had the internet been invented in her time, swore by Elemis. She’d always have these tiny samples of products lying around and I remember once in desperation putting on the herbal lavender repair mask over my spots in the hopes that I’d miraculously be cured by the curse that is acne! Unfortunately the cure didn’t quite happen, but what did happen was that I found it helped to reduce the redness and size of my spot significantly and overnight at that! When I was old enough I went and made my first purchase of a full sized tube and I honestly haven’t looked back. The packaging is a sleek clean white tube with a silver cap. Again, there’s nothing overly fancy or in your face about it but it doesn’t need to be. I also love products that come in tubes, because it means that I can squeeze out every last penny that I’ve spent on it. Priced at £30 for a 75ml bottle, you’d better believe I’m going to be cutting the tube to scrape out the last bits when it comes to it! 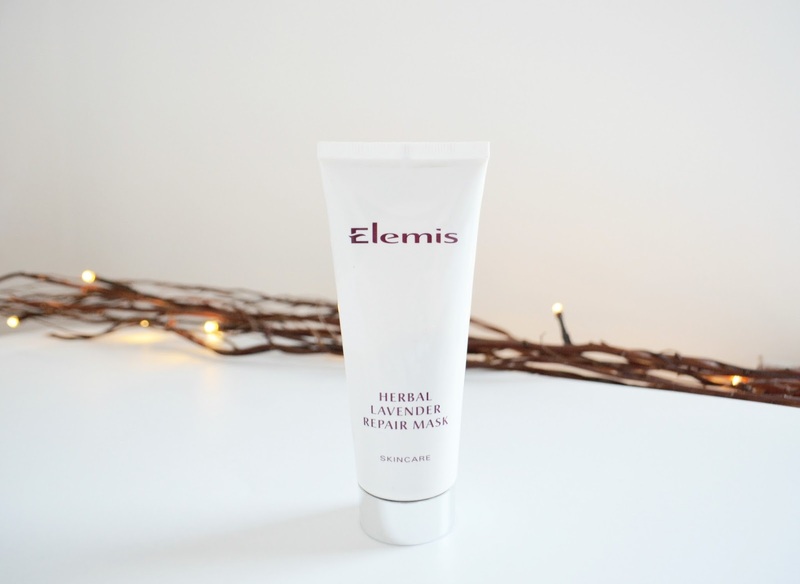 Unlike other clay masks, the Herbal Lavender Repair Mask is very thin in consistency and a light grey in colour. It goes on really easily and feels quite cooling when it’s on. The recommended time to keep it on your face is 10-15 minutes before washing off. During that time it won’t dry completely and the bits that do dry won’t feel heavy nor will they start falling off your face. Now I’m going to be completely honest and say that when I do get a spot, I like to dab a bit of the mask directly on to the spot and sleep with it on overnight. This really helps to get my spots to calm down however I’m not sure I would recommend doing it on a daily basis. The smell I used to describe as being pepper-y but I think that’s the rosemary and you can definitely smell the lavender, which is always good before bedtime! It’s not over powering and the fragrance doesn’t transfer on to your skin once it’s washed off. It washes off really easily as well so no painful scrubbing to get all the bits off. Elemis say “This powerful oil-absorbing, healing and regenerating mask contains antiseptic Rosemary, Thyme and Lavender Essential Oils. 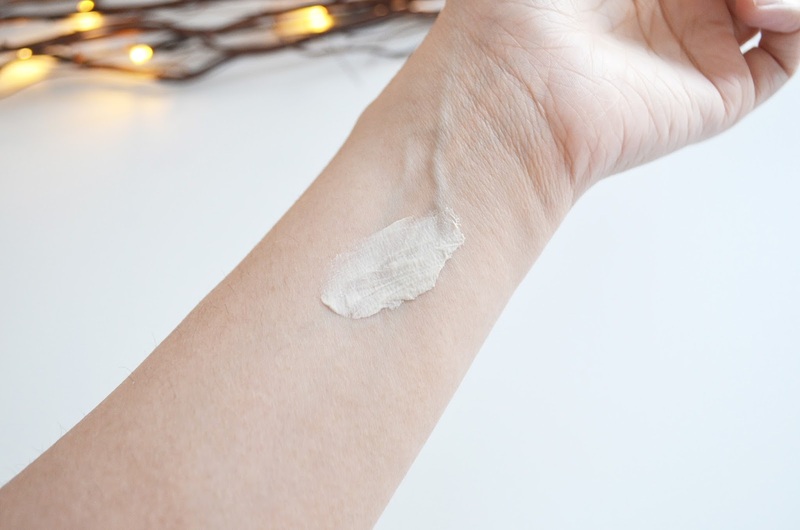 These synergistically rebalance and purify the skin, making this the ideal mask for sallow, combination and teenage skins prone to spots and congestion.” And you know what? I 100% agree with them. It does exactly what it’s supposed to. It helps heal and regenerate and is definitely the ideal mask for combination skin.